This historic home in Overland Park, Kansas was built around 1910. Full of character and charm, the house is now used as an event venue for baby showers, parties, small weddings, charity events, and more! 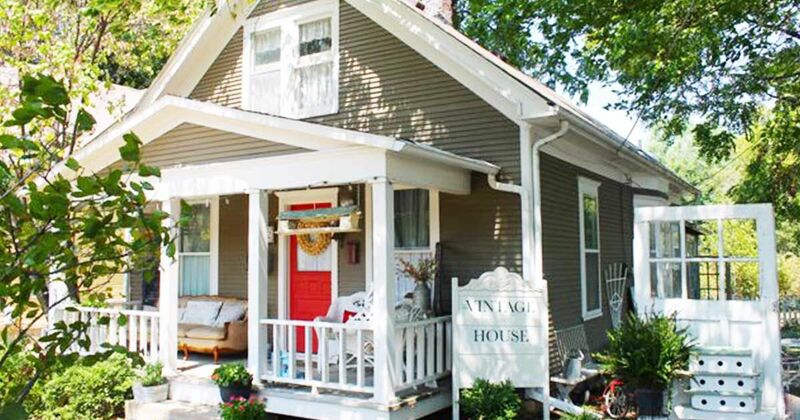 You can rent the space through The Vintage House website. The small decorated home has a unique, shabby chic style. 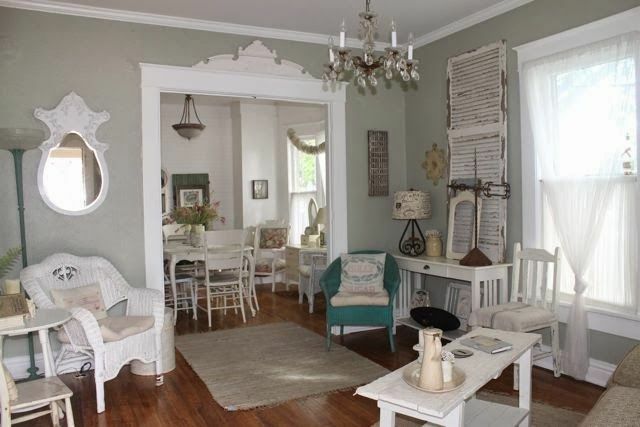 It's bursting at the seams with one-of-a-kind furniture and decor. The subtle color palette keeps the space from feeling too cluttered, while plenty of windows keeps it nice and bright. Take a look around in the tour below! 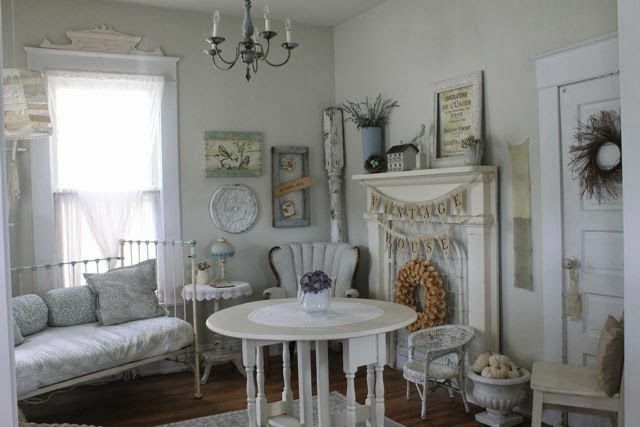 The vintage, shabby chic theme can be found in every detail of the decor, from chippy paint finishes to wrought iron accents. A turquoise wicker chair placed next to a console table creates a cozy sitting nook. The nook opens up to a view of the lovely dining room. 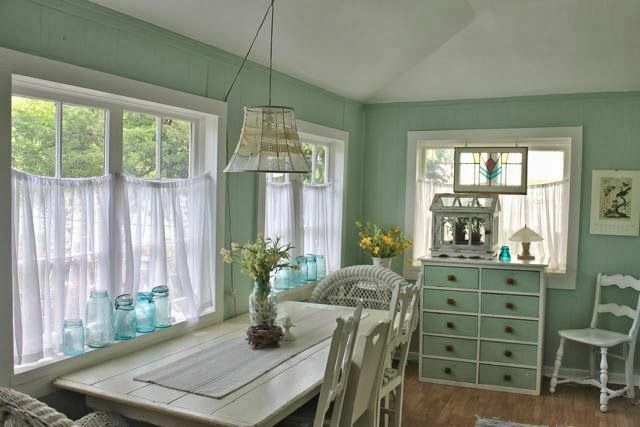 A muted gray-aqua paint color creates a perfect blank canvas for all of the ornate furniture and accessories. A crystal chandelier is the perfect finishing touch. A row of blue glass jars lined on a windowsill is just one of the many beautiful details available in the kitchen area. 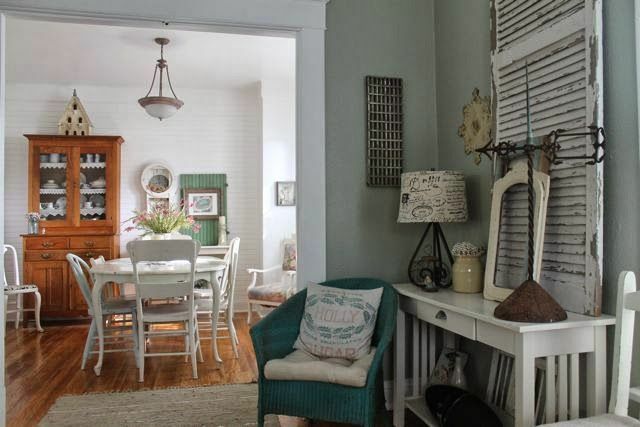 Mismatched chairs, all painted white, creates an eclectic yet consistent look. A kitchen island provides storage and a workspace. 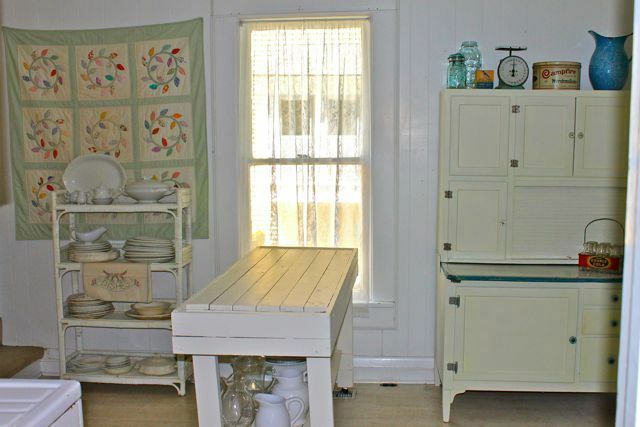 A vintage kitchenette cabinet adds charm and more storage. 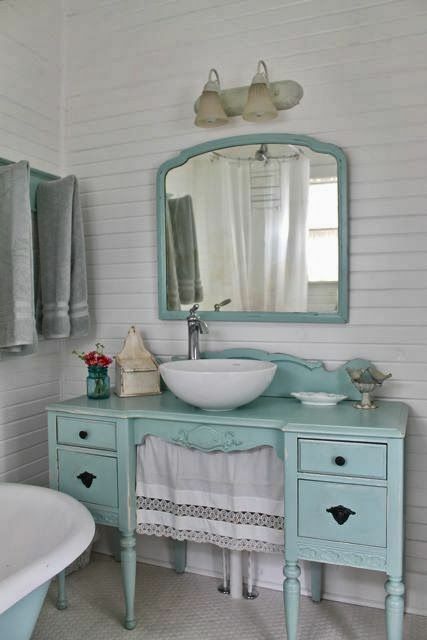 The bathroom features an antique desk, painted aqua and re-purposed to function as a vanity. A matching mirror finishes the look. There is an abundance of shabby chic inspiration to be found at this vintage-style event venue. Be sure to share the full tour on Facebook, Instagram and Pinterest!